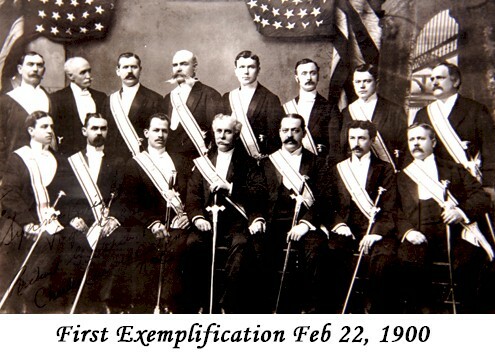 In the early years of the Fourth Degree, members met as part of their councils, mostly after meetings. In 1910, during a reorganization of the Order’s leadership, the first Assemblies were created. Additionally the position of Supreme Master was established to lead the Fourth Degree internationally. Vice Supreme Masters lead Provinces and Masters head Districts. This system has spread and flourished as Sir Knights not only serve their local Church through their service to local councils but also their joint efforts in these Assemblies. The Honor Guard, first called for in 1886 was officially formed in 1902, for ceremonial purposes. Since that time, the uniforms of the Color Corps have varied, however all have shared the similar theme of mariners. Most noticeable in today’s current uniform is the chapeau worn with ostrich feathers.